The demand within the global tortilla market has been rising on account of the widening product portfolio of the food sector in recent times. Tortilla is mainly consumed with a side dish, and is made up of corn and wheat. The high nutritional value of tortilla owes to the presence of corn, and a large population of people consume tortilla on a daily bread. Although the origin of tortilla can be traced back to a few decades ago, its popularity has gathered swing only recently. Considered as a staple food in Spain and Mexico, the use of tortilla has gradually spread across the food industry of several other countries and regions. It is expected that advancements in the food and beverages industry would aid the growth of the global market for tortilla in the years to come. Furthermore, advancements in the supply chain of tortilla across several emerging economies has also led to increased demand within the global market. The global tortilla market may be segmented on the basis of the following parameters: product type, source, claim, distribution channel, and region. Since the global tortilla market belongs to a niche domain in the food industry, it is essential to understand all of the aforementioned segments. A report on the global tortilla market sheds value on several trends and dynamics that have aided the growth of this market in recent times. 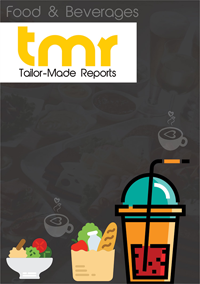 The report is a quick elucidation of the drivers, restraints, and growth opportunities floating in the global market for tortilla. The demand within the global tortilla market has been rising on account of the growth of the bakery sector across the world. Tortilla is served in restaurants with a wide variety of sides and main-course meals, and this factor has brightened the fortunes of the tortilla market vendors. Furthermore, tortilla is now being used as an intermediate for the preparation of other bread-based dishes which has also aided market growth. The popularity of tortilla as a relished bread is due to the promotion of global food cultures through news, media, and internet. The global tortilla market is expected to expand as food-blogging becomes a mainstream profession and people commence expeditions to explore food cultures. Furthermore, the availability of tortilla across retail outlets is also projected to propel demand within the global tortilla market in the years to come. The most recent forms of tortilla that have been introduced on the shelves of retail outlets are frozen tortilla, tortilla mix, and pre-cooked tortilla. As these types of tortilla gain popularity, the global market for tortilla is expected to earn commendable revenues in the years to come. Moreover, the adoption of western food cultures in emerging economies such as India, Japan, and China is also projected to reek of growth within the global tortilla market in the years to come. The tremendous demand within the tortilla market in Europe can be attributed to the popularity of this bread in England, Spain, and France. Mexico is believed to be the place of origin for tortilla, and this factor has led to the growth of the market for tortilla in North America. Some of the key players in the global tortilla market are Grupo Bimbo SAB de CV, Tyson Foods, Inc., Grupo Liven, S.A, and Ole Mexican Foods Inc.